At Northern Power Washing we’ll make sure that your home or business is looking its best. We offer environmentally friendly Power Washing and window cleaning services. We’re a family business. The owner, Ben Orr, started our sister company Northern Seasonal Services LLC. back in 2005. Since then our services have grown so big, so fast, that it came to a point where our Power Washing services needed to be broken off into it’s own company. Even though we have a slightly different name we still share all of the core values that made our original company so great all those years ago. Ben has made one thing the hallmark of his company. It is one of the main values he instills in everyone who works for him. “Trust is everything,” he says. If you chose to use our services, you can trust us to do the job in a timely, professional manner. You can trust us to treat your house with the same kind of care and respect that we would on our own homes, you can trust us to complete the job, on budget, and on time. If for whatever reason, something goes wrong and you’re not happy with our service, you can trust us to make it right. We are Northern Power Washing and we believe in helping our neighbors. We’d like the opportunity to help you. 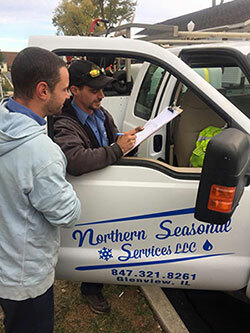 The only thing new about us is our name – We split from our sister company Northern Seasonal Services LLC in 2016 – but we have been providing Power Washing services to the Chicagoland area since 2005. At Northern Power Washing, we take an active part in making our communities the best possible places to live, work, and raise a family. That’s why we’ve partnered with some great organizations who do even greater things for those in need. We are a family-run business, we treat our customers with respect, and we pride ourselves in the work that we do. Come see the difference, call us today! 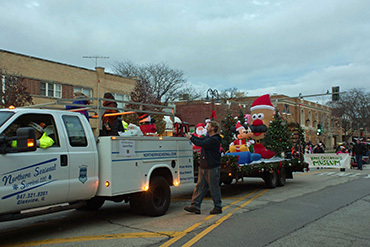 Glenview Chamber of Commerce – Northern Seasonal is proud to be located in Glenview and belong to the Glenview Chamber of Commerce. PWRA – Pressure Washing Resource Association – We are committed to continually bettering ourselves through continuing education. The PWRA focuses on bettering the industry through education and outreach, we are proud to be members and are committed to bettering the industry not just for ourselves but also for our clients and the environment. Ben Orr works as a full-time Firefighter & Paramedic for a small suburb outside of Chicago. Immediately after high school, he went into the fire service, completing Paramedic school by age 18. He has worked in many roles in the prehospital setting including teaching with Loyola’s Paramedic program, and working at Childrens Memorial Hospital. Northern Power Washing has since grown tremendously over the years and now requires a great deal more of Ben’s attention, but he still remains extremely active at his fire department. Ben attributes many of his best management practices and appreciation for the environment and community to his work as a Fireman and Paramedic.